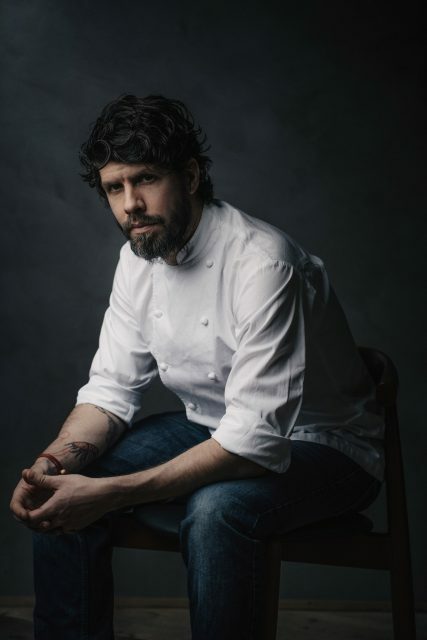 Argentine chef Paulo Airaudo is to open a Latin American restaurant at the Town Hall Hotel in London’s Bethnal Green following the closure of the Typing Room. As reported by Eater, Da Terra will be a “relaxed fine dining” restaurant serving dishes inspired by Latin America and Italy in honour of Airaudo’s Argentine and Italian roots. Slated to open on 23 January, Da Terra, which will take “an informal but quality driven approach towards cooking, beverages, decor and sound”, will also include a destination bar. Born in Argentina to Italian parents, Airaudo learnt the tricks of the trade at envelope pushing three star restaurants like Arzak in San Sebastián and Heston Blumenthal’s The Fat Duck in Bray. His debut solo venture was La Bottega, a forward thinking trattoria in Geneva, which won a Michelin star just four months after opening in 2015. Airaudo currently runs Amelia in San Sebastián, which scooped a Michelin star in 2017. The contemporary venue works with “seasonal and sustainable raw materials” and boasts an exclusively organic and biodynamic wine list. Named after his daughter and housed in an old timber wood shop, Airaudo pays homage to the past at Amelia, reviving old cooking techniques and long forgotten recipes. The pared down interiors mirror the venue’s minimalist Nordic approach. The Typing Room closed last year following the departure of head chef Lee Westcott, who is due to open Pensons in Herefordshire this month. The Town Hall Hotel is the site where Nuno Mendes opened Londoners’ minds to progressive techniques at Viajante, where his experience of working with Ferrán Adrià at ElBulli helped steer the restaurant to a Michelin star.